Few artists have exerted such an inﬂuence on modern art as Paul Cézanne. Picasso, Braque and Matisse all acknowledged a profound debt to his painting, and many historians regard him as the father of modernism. This new biography reexamines Cézanne’s life and art, discussing the central events and people who shaped his work and placing his oeuvre in the context of nineteenth- and early twentieth-century art and culture. Jon Kear examines Cézanne’s youth in Provence, a formative period which left a deep and abiding impression on the artist’s painting, as well as exploring his turbulent time in Paris and the larger-than-life artistic persona he created for himself during these years. His initial style, characterized by violent and explicit subject-matter and a rugged manner of painting, gave rise to an enduring mythology of the artist. Paul Cézanne explores the personal and artistic relationships that influenced Cézanne: from his close friendship with Émile Zola to his artistic dialogue with Manet, collaboration with Camille Pissarro and association with the Impressionists. Above all, Paul Cézanne tells the story of his life as a part of the pivotal shift towards the twentieth century, illuminating how much his work and ideas helped to usher it in. 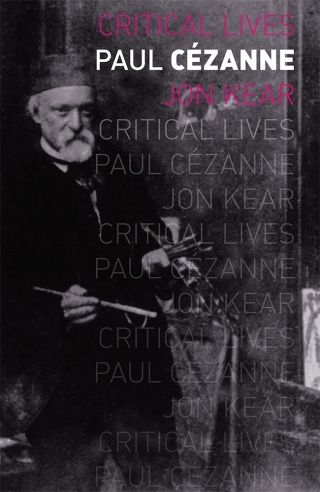 Jon Kear is a Lecturer in History of Art at the University of Kent. He is the author of Degas: His Life and Works in 500 Images (2012), Portraits and a Dream: Art and Language (2011) and Sunless (1999), a study of the ﬁlm-maker Chris Marker.